Netflix’s newest Marvel television series, Iron Fist, will be debuting this Friday via the subscription service and The Blot can’t wait! Even all of the really, really bad reviews haven’t deterred me from wanting to watch the final Marvel solo series. The truth is, I’m so excited for all of the Netflix Marvel Universe heroes to come together as The Defenders I’ll even put up with a so-so series like Iron Fist. To help promote this week’s series premiere, Netflix has released this really cool character poster featuring Jessica Henwick’s Colleen Wing. 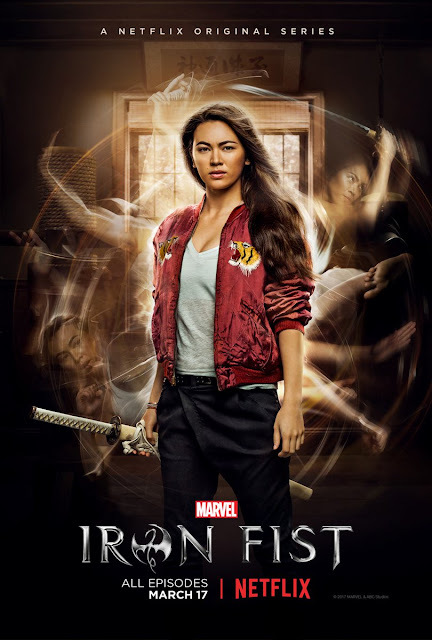 From the reviews, it sounds like Henwick is the show’s breakout star. All 13 episodes of Iron Fist Season 1 will debut on Netflix on March 17, 2017.